The service to celebrate his life and honour his memory remain as vivid to me today as it did the day the golf world bid farewell to the ball-striking genius. Especially comforting at the time was the knowledge that through his small inner-circle of friends, his vast network of fellow golf professionals, a world of admirers and those of us in the media who had covered him so extensively over the years, Moe’s legacy would always have shelf life. It would live on. Barry Morrow, screenwriter for the Academy Award-winning movie Rainman has continued on a personal quest to bring Moe’s life story, “Dance the Green” to the big screen. There have also been a number of media remembrances in print, radio and television, many coinciding with the 10th anniversary of Norman’s passing a year ago this September. Graves’ nickname is “Little Moe.” Not only is it the ultimate compliment but it is also an apt handle for someone who has dedicated his golf and teaching life to the replication of Norman’s single plane golf swing and to preserving the legacy Moe forged as one of the greatest ball-strikers of all time. In 2000 Graves and his brother Tim co-founded the Graves Golf Academy, a program totally dedicated to how Moe Norman swung a golf club and why, in their opinion, it is a better, more consistent approach to the game. Based in Oklahoma with academies in Florida and satellite schools around North America, Graves Golf Academy has passed along Moe’s swing wisdom to more than 5,000 golfers since inception. But in the big picture even that was somehow limiting. Graves’ overall vision was much broader. Ultimately, it became both a goal and a quest to share his beliefs in Moe’s single plane move with more golfers than he could ever hope to see at his Academy meaning that an instruction book, something people could utilize and reference again and again, was not only necessary but requisite to present Moe’s swing methodology in written and image form. It is for that reason that Graves contacted Canadian golf journalist and longtime friend Tim O’Connor. 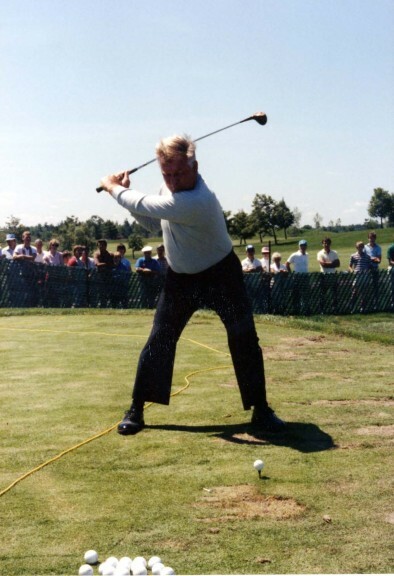 Together they have producedThe Single Plane Golf Swing: Play Better Golf the Moe Norman Way, a quintessential work of the Canadian Golf Hall of Famer’s swing and why it works through the eyes and experience of his pupil, Todd Graves. With further accolades to Canadian designer/photographer Jon Vopni, who did a superb job laying out the single-plane swing over 195 pages, it would be a disservice to call this an instruction-based book only. It’s far from it actually. Anecdotes, including a riveting opening chapter detailing Graves’initial meetingwith Moe Norman and a second chapter where he delves deep into Norman’s genius as a ball-striker, not only provide colour but add unique, well-intentioned context to Moe’s life and ability. My personal favourite part of the book is chapter 14. In it Graves recounts his final round playing with Moe while he talks about his friend finally receiving the recognition in the waning years of his life he never seemed to get throughout his career. That included a $5,000/month pledge by Titleist CEO Wally Uihlein to help Moe out. O’Connor’s name should be familiar if you have followed Moe Norman’s career. The Rockwood, Ont., resident penned the 1995 biography The Feeling of Greatness: The Moe Norman Story, a wonderful account of Norman’s life and times that is in the midst of receiving an update by the author. O’Connor is also the editor of Single Plane Golfer, a magazine published by the Graves Golf Academy. To be fair, the single plane golf wwing method isn’t for everyone. Its nuances are contrary to what’s considered conventional golf swing instruction or, if you like, a two plane golf swing which the majority of golfers employ today. That doesn’t make any part of either method wrong or right in my opinion, just alternatives.. The single is a different philosophy. It can be a darn good one too because there is no doubt that this can be an easier way to move the club through impact and make the ball go straight. I still shake my head recounting the story Titleist’s Karen Gray told me a few years ago about being at Devil’s Pulpit, north of Toronto, one time when Moe showed up. She and Chad Cole of Titleist Canada eventually got him to hit some balls on a launch monitor and were astounded when a couple of Moe’s shots registered zero sidespin. That’s something even the best ball strikers on tour might never be able to do. That being said there is some superb lessons in the pages of this book to make it a worthwhile and captivating read even for a two-plane golfer who might already be satisfied with how he or she plays or achieves impact position. Especially compelling for me are Graves’ sections in the book on pre-course and pre-round routine. I found both extremely insightful. 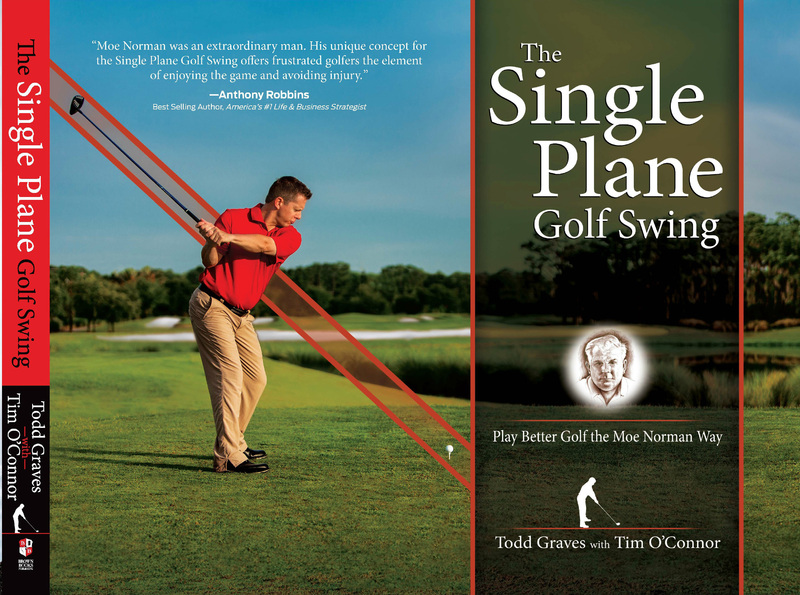 Two-and-a-half years in the making, The Single Plane Golf Swing: Play Better Golf the Moe Norman Way by Todd Graves and Tim O’Connor is available for purchase at MoeNormanGolf.com or atthesingleplanegolfswing.com.